2014 update: Artword Gallery is no longer in operation. The former exhibition spaces are now a private studio, not open to the public. We continue to display work from our own art collection in Artword Artbar. Friday October 10, 2014, James North Art Crawl. 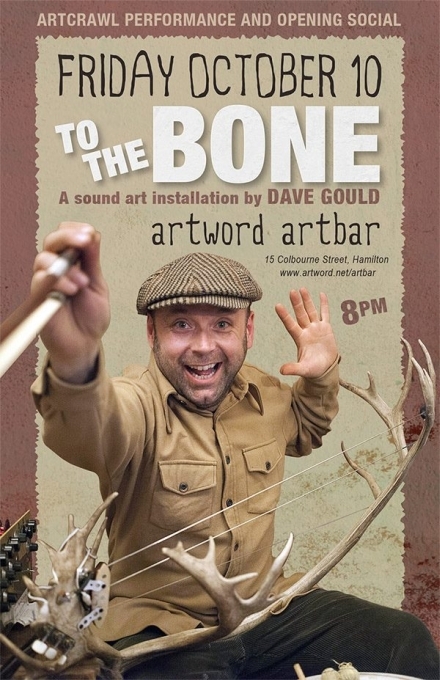 Musician/sculptor/zany guy Dave Gould, with an installation of his instruments made of bones. And in the bar, Dave will demonstrate and perform on the instruments. The show is called “TO THE BONE” – from Dave Gould’s Audiotorium Collection. 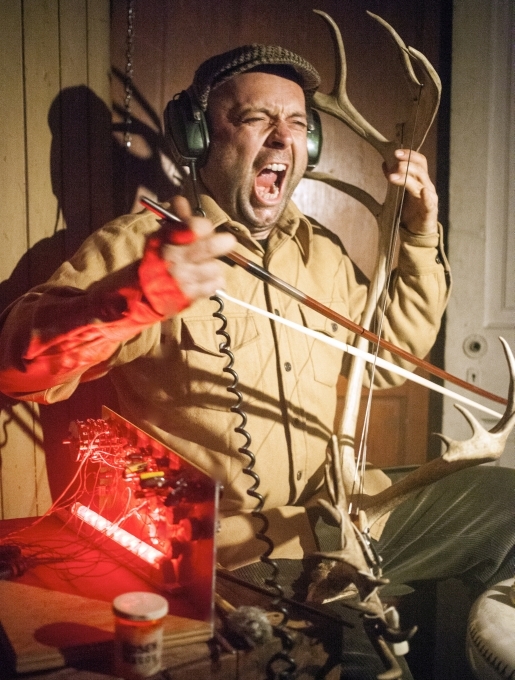 Dave explains: “I am inspired to re-purpose objects in unique ways whether it is with my electro-acoustic sculptures/instruments or visual art. It is my hope that people will be inspired to perceive their environments in new ways and find art in everyday life. I am also intrigued by the blurring of lines between what is visual and what is musical which prompts the question, “Is that a musical instrument or a sculpture?” The installation will remain on view for the month of October. May and June, 2014. New paintings in acrylic on canvas, “Field Studies”, by Ellen Irving. During the summer of 2013 and the winter of 2014, Ellen traveled through the farming communities of southern Ontario and the Gaspe Bay. 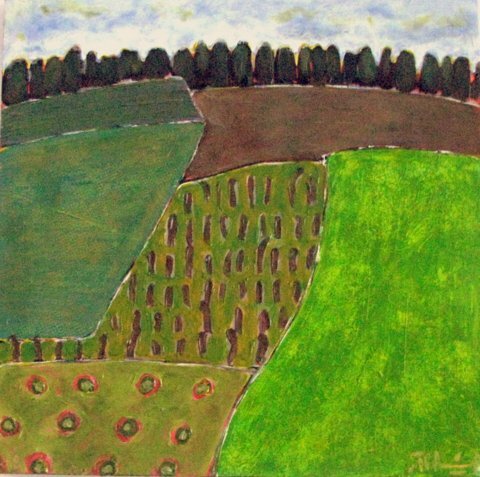 Fascinated with the patch-work appearance of farm fields, Ellen took pictures and did small sketches. With these as a starting point, she was able to capture on canvas her excitement with the patterns in the various fields. October 2013, the 3rd Vormittag Biennial Invitational, organized by the artist Irena Vormittag, a founding member of Arcadia Gallery in Toronto and Hamilton Artists Inc. in Hamilton Ontario. These exhibits feature mid-career artists who had been working consistently in the Golden Horseshoe region, artists with a rich history of art making, organizing shows, operating galleries, and being active in the art community. The 2013 participants are Andrew Glinski, Cynthia Hill, Bryce Kanbara, James Latrobe, Samuel Robinson, Irena Vormittag, Julita Wolanska and Robert Yates. Artists present on Art Crawl, Friday October 11, from 7 to 10 pm. September 12-22, 2013. “Flux”, a group exhibition by Alicia Giansante, Olivia Rozema and Jenn Shamo, all currently completing a degree in Studio Art at McMaster University. The artists will be present during Friday Sept 13 Art Crawl and Saturday Sept 14 Supercrawl. The exhibition includes work by each artist that emphasizes a continued flow, an essential continuance or cycle. Though they use various materials, each artist is concerned with determining the essence of their subject and making it resonate beyond its physical form. 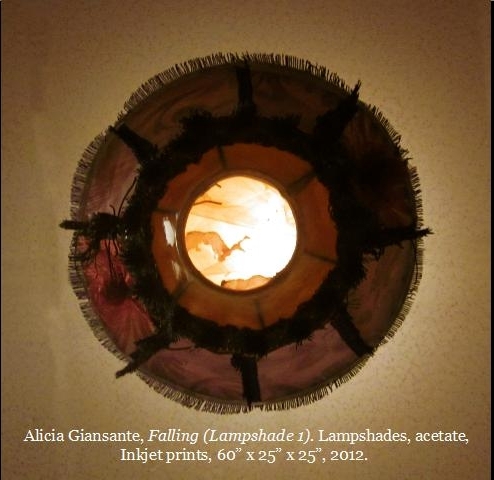 Alicia Giansante, in a series of sculptural mixed media and found art, examines escapism and a suspended moment in time. She draws upon a never-ending stream of consciousness manifested in an iconic falling figure. 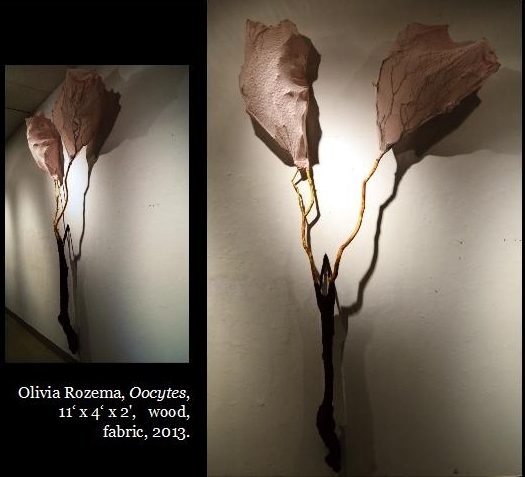 Olivia Rozema is a sculpture artist who uses found items of both natural and manmade origins; manipulating their forms to reference the womb and the regenerative qualities of the natural world. She seeks to give the human body spiritual agency in the context of the Earth’s natural cycles. 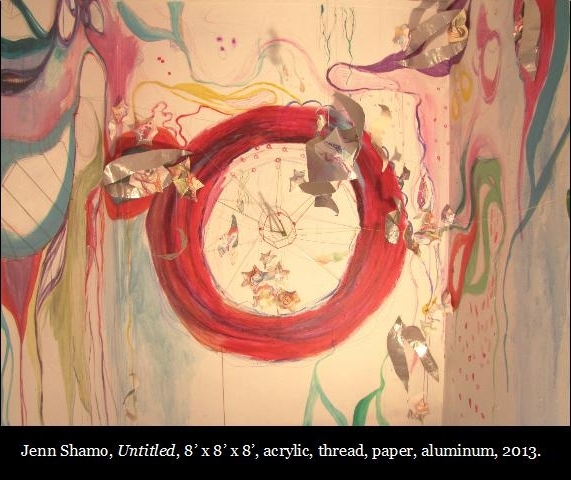 Jenn Shamo uses drawing mediums and collage combined three-dimensionally to explore diaristic concepts with improvisational and spontaneous processes. Her organic lines and forms defy special boundaries, recalling continuous and swelling growth. May 2013, The Blues in Black and White, an exhibition of archival photographs by Robert Allison from the glory days of Albert’s Hall, the premier venue in the late 80s for blues musicians passing through Toronto. Robert wrote in 1989: “I began photographing each act that came to the bar. On Monday I’d shoot, and by Friday I’d have prints to be signed. It gave me a goal, it gave me a purpose for shooting, but most of all it gave me satisfaction – something that I was interested in and something that I could feel. The management gave me a private gallery, and the bar gave me a captive audience. Thematically I was capturing history in the making. That’s what this collection is. It’s a history of a bar that I’ve worked in for five years, and it’s a history of the musicians that have played there.” (photo top left James Cotton, left lower Paul Butterfield, right Jimmy Reed). April 2013, a group exhibition of paintings, sculptures, prints and installation work by Alicia Giansante, Emma Hale, Nikkie To and Ianitza Vassileva. These four emerging artists are currently all completing a degree in Studio Art at McMaster University. The exhibition concept revolves around notions of self-perception, alternate realities, ethereality and femininity. The artists will present four unique bodies of work that express similar ideas, transforming the space to create an intimate and tranquil atmosphere through the use of lighting and sound. Artists present Friday April 12 Art Crawl, 7 to 10:30 pm. March 2013: Nicole Babjak, an emerging artist from Burlington showcases her open-air sketches from around the world. “Windows to the World” is a collection of miniature watercolour and pen & ink drawings featuring locations as Alaska, China, Italy and Croatia that Nicole has travelled to in the past 10 years. Nicole will be present Friday March 8 from 7 to 10pm for the James St. North Art Crawl. January and February 2013, a two-part drawing show by David Nemeth.The artist will be present for both January 11 and February 8 Art Crawl evenings. David Nemeth recently made his home in Hamilton, the city that inspired him to create his latest series, “Between the Hammer and a Hard Place”, an evocative study of Hamilton’s architecture and the people who reside there, as seen through the eyes of the artist. November-December 2012: Canadian landscapes from the Artword private collection. Months of September and October 2012, Linda Joyce Ott, new paintings and mixed media works: Dancing Around the Void. In these intriguing works, Linda explores those moments of luminosity that hover between life and death, being and non-being, meaning and ambiguity. Show held over through October. Artist present Friday September 14 and Friday October 12 for Art Crawl. 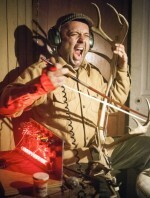 April 2012, Leah Boyd exhibits sculpture, drawings, prints and collage. The exhibit is a collection of Leah’s work from her last two years as a student until now. Leah meticulously pieces together fragments of sculpture, drawing, printmaking, textile and found objects in order to replicate her own personal feelings of tension and anxiety. Leah is a recent graduate of McMaster Fine Arts and Art History program. March 2012, “Hybrids & Counterparts“, an exhibition of ceramic sculptures by three McMaster art students: Jessica Bigda, Morgan Kamocki Allaby, and Paige Woodhouse. The sculptures have in common an exploration, through the physicality of clay, of hybrid anatomies that are part human, part animal. Martin Peckham will be showing his illuminated glass sculptures in the installation room. Having spent years collecting beach glass from the shores of Lake Erie he has now found a brilliant way to display them. 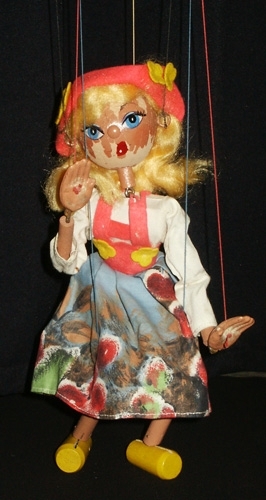 In the installation gallery, a display of marionettes and puppets from the collection of Marie Franek and Studio Babette (examples right), in conjunction with Studio Babette’s performances of their puppet play Pulcinella, il Cameriere (Pulcinella, the Waiter). October 2011: Three-person show, “Reality is not what it seems”: Paintings by Ratticus, Sallow Crow and Steven Adrian Jeffrey. September: Bruce Parsons and his PLAN B [PARADISE HOMES]. Bruce will be present Friday Sept 9 for James North Art Crawl from 7 to 10 pm and Sunday Sept 18 for Open Streets Festival for the afternoon. #1: An installation, WORKING PLAN B FOR PALESTINE / ISRAEL with large painted floor and wall maps and panoptic shield constructions. #2: in the large studio, LABYRINTH MAP PAINTINGS on canvas and bamboo constructions. The images are from satellite cameras. These city planner designs of gated communities are exclusive developments in Ontario and Palestine/ Israel , Vaughan and Ma’ale Adumim. July and August 2011: Art from Mozambique, curated by Filimone Mabjaia, including batik wall hangings and fine wood handicrafts. 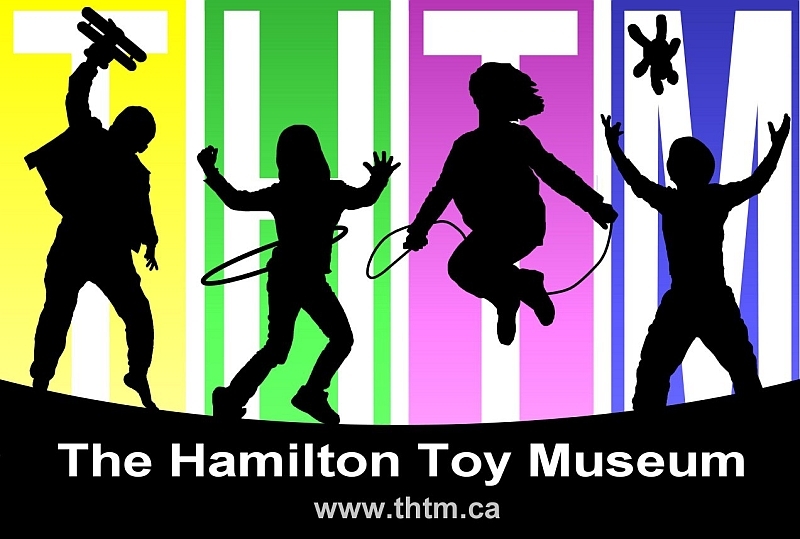 April 1 to 30, 2011: Ellen Irving “Exploding Furniture”, new drawings and an installation by the inventive and delightfully unpredictable Hamilton artist. Left: “When the table stopped taking anti-depressants”. Right: “This is the chair starting back on anti-depressants”. Artist present for James North Art Crawl Friday April 8 from 7 to 10 pm. Janice Peshke, handmade jewelry exhibition by the well-known Hamilton jewelry maker and instructor, in the installation gallery. Judith Sandiford, three selections from her large-scale paintings and drawings based on physics and cosmology, from her decade as a visual artist before she became a theatre designer. On exhibit two multi-panel paintings in acrylic on canvas, “Ring Nebula” and “Omega”, and “Fluctuations Triptych #2”, a large drawing. Andrea Liss *The Art of the Dress* is a vintage clothing installation of high fashion and department store party dresses from the 1950s to 1980s, curated by collector Andrea Liss, inspired by the smoky romance of the femme fatale. 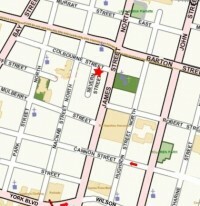 Curator present: Fri Feb 11 (James North Art Crawl) 7 to 10 pm, Sat Feb 12 from 2 to 6 pm. Mark Korczysnki creates everyday objects and ornamental items out of forged metal. He is an artist blacksmith trained in the traditional method working out of his Sherman Street North studio, “metalmorphosis”. His exhibit features 10 art pieces — photographs with hand forged frames and hand cut mats. November 4-28: Ellen Irving, a Hamilton-based artist, with a new series of paintings “Homonyms”, based on words with the same sound and different meanings. Also on view, her “Canoe” series of paintings. Artist present for Art Crawl Friday November 12 from 7-10 pm. of “cocooned” landscaping in an industrial environment. Reception Sat Oct 2 from 4-7 pm. Sept 1-30, 2010: Meiko Ando, “The Odradek Prints”, block prints, created as a collaboration with Odradek, a trio of multi-instrumentalists. Meiko Ando will be present during Art Crawl Friday September 10, and will perform improvised dance with Odradek trio as a post-crawl performance. Saturday August 14, 7:30 pm, book launch and performance. July 2 to August 1, 2010: “Arcangles”, Holly Briesmaster and Janice Jackson a two-person collaborative exhibition of fans and constructions that explores the arc form. Sunday July 18, 2 to 5 pm, reception and poetry reading, artists present. June 3-27, 2010: Main Gallery, Linda Joyce Ott “Auto Parts: Photo Art Portfolio and Exhibition” Celebrating a pedestrian€™s vision of the abstract beauty of vintage cars. from his ongoing history series “From Out of Our Past: Stuff They Don’t Tell You”. Opening with the artist Friday May 14 from 7 to 10 pm. Also cartoons by Hamilton’s iconic political cartoonist the late Roy Carless. September 8, 2009: Curator Judith Sandiford is pleased to announce that Artword Gallery, formerly active in Toronto from 1993 to 2006, has resurfaced in Hamilton after a three-year hiatus. 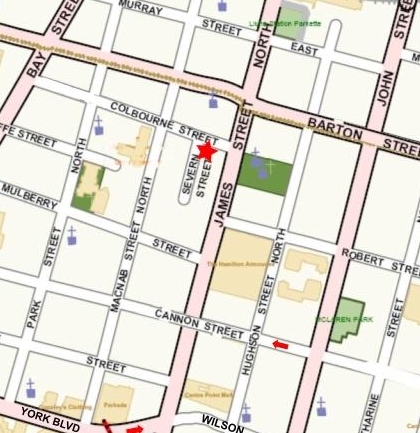 She and partner Ronald Weihs have recently purchased a neighbourhood bar in the James North arts district of Hamilton, at 15 Colbourne Street. They are reconfiguring the space into an arts hub, with live music and performance, art on the walls and a gallery in the lower level. From 1993 to 2006, Judith Sandiford and Ronald Weihs operated an exhibition space for visual art in conjunction with their theatre facility, Artword Theatre, in downtown Toronto. During this period Artword Gallery mounted over 50 exhibitions of noted Canadian artists, including Andrew Glinski, Bruce Parsons, Claude Breeze (C. Herbert), Tim Noonan, Katja Jacobs, Eric Ladelpha, Debbie O’Rourke, Peter Harris and Judith Sandiford, as well as a number of group shows. Artword also presented six major exhibits of paintings and drawings by distinguished painter and author Barbara Caruso. From 1989 to 1993 Sandiford and Weihs edited and published Artword Artist’s Forum, a quarterly magazine by and for artists, and also wrote a regular column “Gallery Walkabout”, mini-reviews of the current art shows in Toronto.